The Army announced last summer that it would not return to NASCAR as a sponsor for 2013. The Navy and Marine Corps are also out of the NASCAR business. With rare exception. But the Air Force is back for 2013, renewing its deal to sponsor the Richard Petty Motorsports-owned No. 43 car, driven by Aric Almirola. The sponsorship lasts the entire season, but the Air Force will be the primary sponsor for two races on military-friendly weekends — the Coca-Cola 600 in Charlotte, N.C., over Memorial Day weekend and the Coke Zero 400 in Daytona Beach, Fla., two days after Independence Day. The release announcing the move didn’t give the financials; the Army’s 2012 NASCAR spending, which included serving as Ryan Newman’s primary sponsor for 12 races in 2012, ran the service $8.4 million. The Air Force is likely paying much less, considering their deal covers fewer dates and a less-established driver. Still, from Petty’s perspective, it’s likely better than painting a panther on the car. Regardless of the Air Force paint scheme, die-hard NASCAR fans will always associate the No. 43 with Petty blue, Richard’s signature color for parts of five decades. That’s not a nickname — it’s a real color. And the car hasn’t won all that many races without that shade of blue, or that legendary driver, behind the wheel. 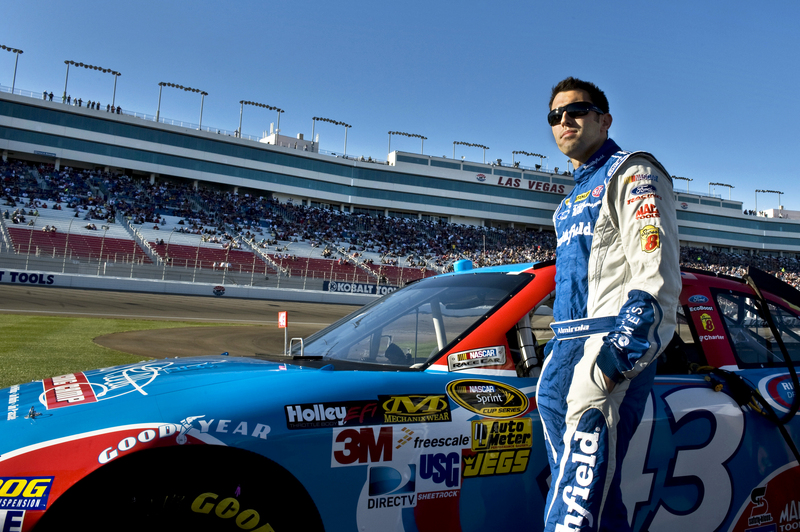 Whether Almirola, a promising young driver whose dad served in the Air Force, can improve the team’s standing this season could go a long way toward determining whether the Air Force’s investment will pay off.